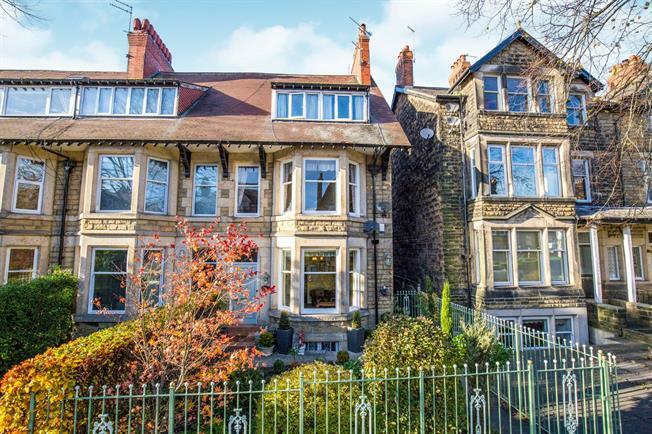 7 Bedroom End of Terrace House For Sale in Harrogate for Asking Price £580,000. A well presented characterful property briefly comprising; an entrance hall leading to a large living room with high ceilings and beautiful features, a dining room with wooden floors and log burner, a modern open plan kitchen and dining room and a shower room on the ground floor. Upstairs there are two good sized bedrooms, a family bathroom and a large master bedroom. There are three further bedrooms upstairs and self contained bedroom, bathroom and kitchen. In the cellar there is a games room, utility, WC and further rooms for storage. Externally the property boasts neat frontage and a beautiful courtyard to the rear of the property.